What started months ago as just as a (one of) wants to have a replacement for my company issued laptop eventually became a need. And after careful review and consideration of several laptops and netbooks it all led me to just two choices to pick from: HP Mini 2140 and Lenovo S10. These two netbooks if compared spec by spec is almost very similar to each other. Each has its own appeal though like the HP Mini is much hyped for its keyboard size, which I agree that it is indeed its strongest advantage among the other mini-laptops of the same price range; the Lenovo meanwhile has IBM behind its back to make almost everyone familiar with it to trust the Lenovo’s quality without any doubt. It is these hype and appeal that made it harder for me to pick between the two. So what was the tie-breaker that made me pick the Lenovo over the HP Mini? It’s the battery capacity. At first, to be honest, I was about to choose the HP Mini just because I think it looks better than the Lenovo. 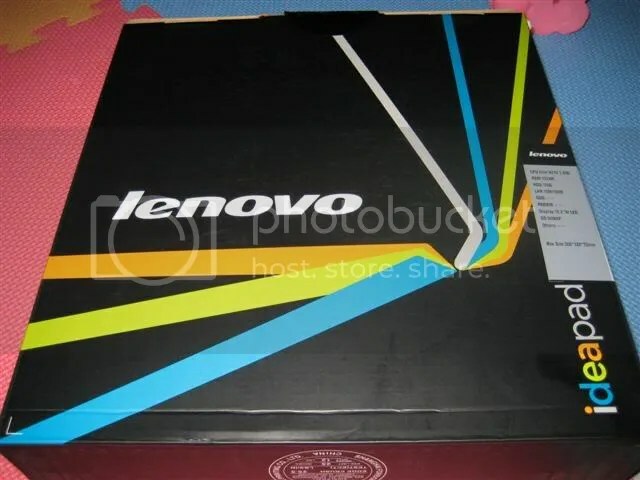 But when I learned that the Lenovo has 6-cell battery vs. the HP Mini’s 3-cell battery, I decided that it has to be it despite having a higher price tag of Php24K+(USD500). Paying Php1000 (USD20) more for an extended battery life I think is just fair enough. There are obvious things though that has to be dealt with since there are laptop features that are not available in netbooks because of its compact size. 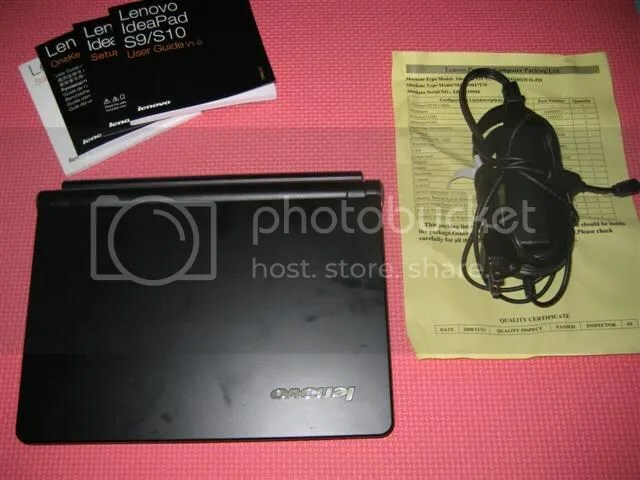 Like most netbooks, the Lenovo S10 has no optical drive which I don’t know yet if it’s still possible to watch videos coming from CDs or DVDs by transferring it to a USB thumb drive. I’ll find out soon. ...the user. Actually, he's more of a QA tester. 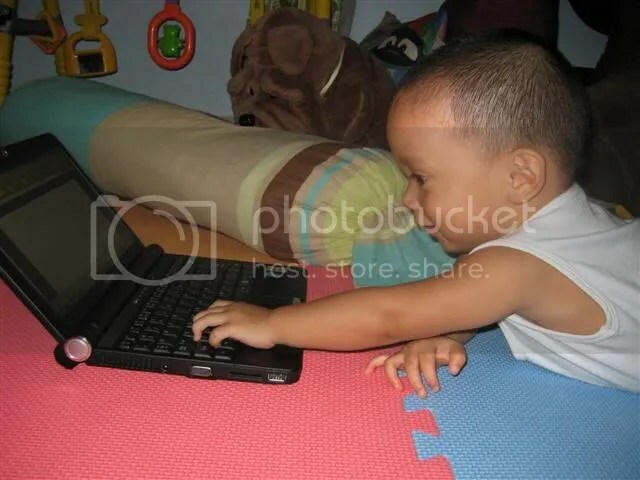 Currently, I’m also trying to adjust to some keyboard keys (especially hitting the right shift key) orientation although there’s not much significant change in my typing speed – I think I’m still at around 50 wpm. Likewise, the small touchpad area and the left/right buttons that feels a little bit hard (I don’t know if it’s because it is still new) isn’t much of a big deal either; thanks to almost a year of dealing with my previous company’s Ergonomic Advisor that made me get used to keyboard shortcuts.